With temperatures cooling down and fall on the way, I'm looking forward to switching my wine intake back from rose and riesling to a good cabernet. Although generally speaking I'd say I prefer red wine over white, during the hot, humid summer it's hard to crave a rich red. 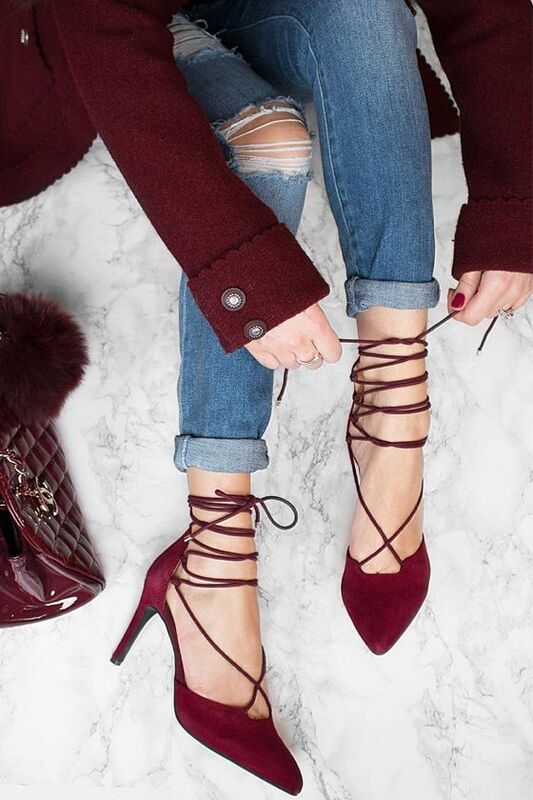 With the changing season, I also tend to switch up my wardrobe color palette- and I'm inspired by shades of burgundy, bordeaux, and merlot. La Cornue stoves are all the rage, and to me it doesn't get better than a rich shade of red with brass accents. I also plan to scoop up those Nine West boots in both red and black - because you can't beat that price tag.